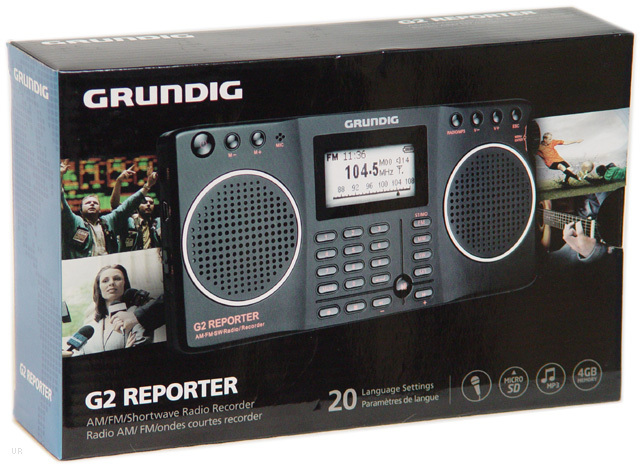 The Grundig G2 Reporter is your take-anywhere international news source. The stylish G2 is less than 1 inch thick, making it the perfect travel companion. 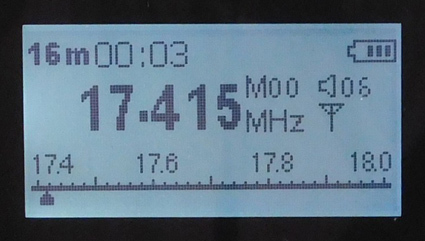 Enjoy AM, FM, FM stereo and continuous shortwave from 2.3 to 23 MHz. (No SSB). The dual sound speaker system adds a new dimension to your radio listening, and the Line Input jack means you can play your personal audio device through the G2. 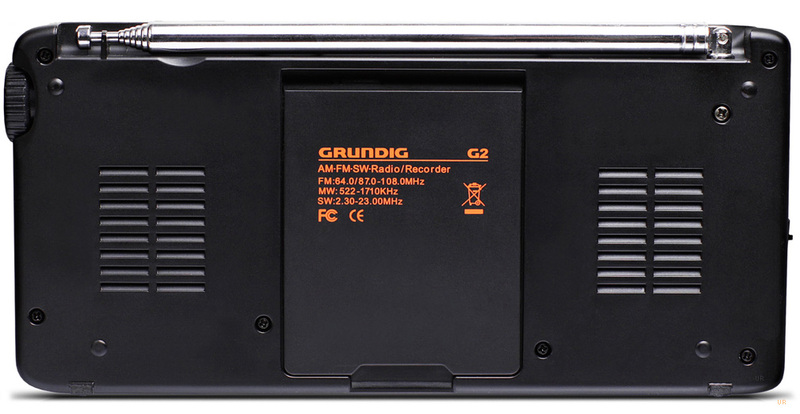 A built in MP3/WAV recording system lets you make verbal notes via the built-in mic, external mic or even record your favorite radio shows directly off the air. 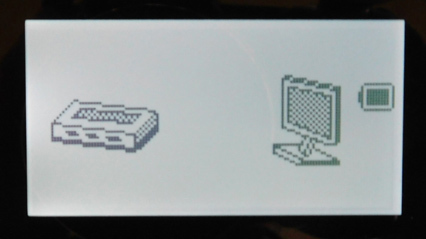 Easily store your favorite stations via the 248 channel memory system with memory scan, auto tuning storage and also keypad entry. A built-in micro-SD card port on the bottom panel that supports up to 16 GB letting you play your own music library through the G2. 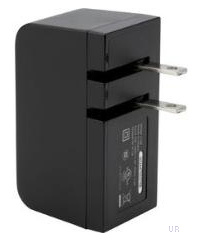 The mini USB 2.0 jack facilitates charging and field upgrades. 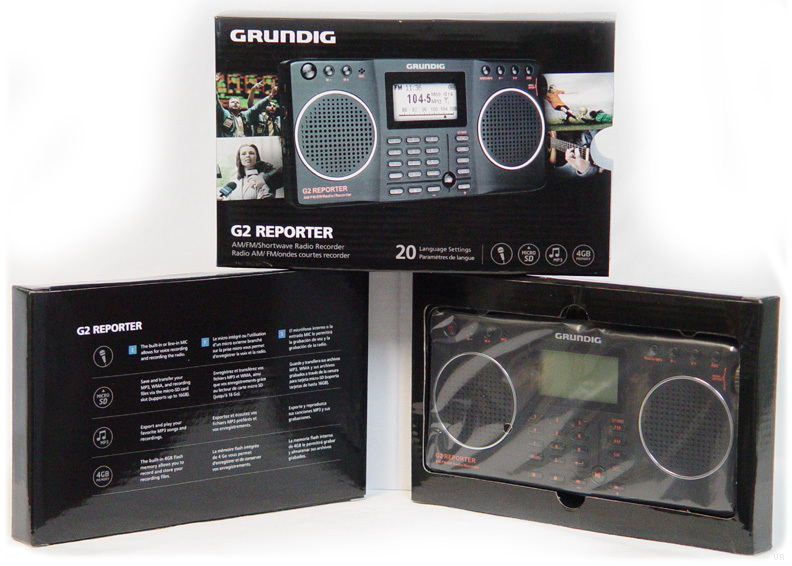 The G2 can be set to operate in English, Chinese, Japanese, Korean, French, German, Italian, Dutch, Portuguese, Spanish, Swedish, Czech, Polish, Russian, Turkish, Hebrew and Thai. Other features include: clock timer, lock, built-in rechargeable 3.7V 1050 mAh lithium battery, charging indicator, tuning indicator and backlit LCD with adjustable contrast. 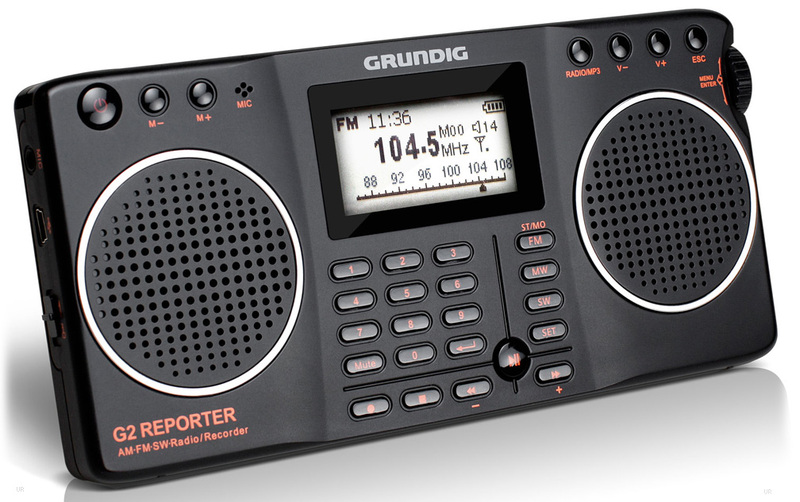 The radio comes with the USB cable, mini stereo to mini stereo audio cable, cloth carry pouch and printed multi-language Owner's Manual. 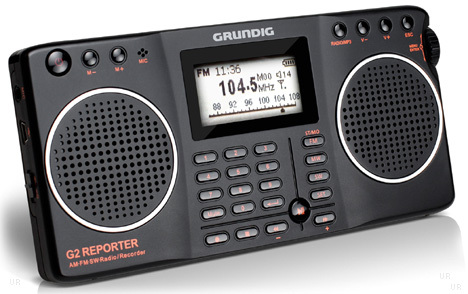 Please note that this radio requires a USB port, such as can be found on a PC to recharge the built-in battery. 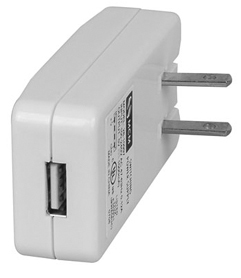 If you do not have an available USB port, then please purchase the USB charge adapter shown below. The USB port is merely for charging the radio and not powering the radio. 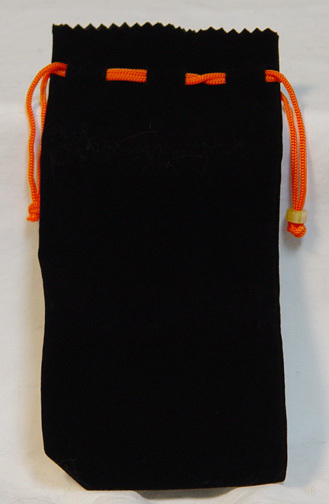 7.5 x 3.5 x 0.8 inches 9.6 oz. (190x90x21mm 272 g). #5995 BT2000 WHT Hand rechargeable USB battery Pack.